The Paramount Artcraft pictured here was built in 1930, with a serial number of 12222. 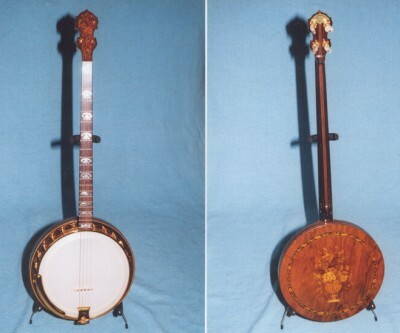 The artwork designs on this banjo were extremely unusual and exquisite. 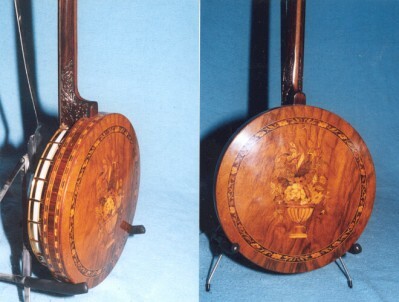 The wood used throughout is rosewood. 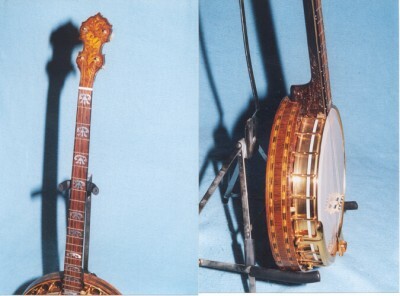 The peg head, resonator back plate, and sides are beautifully designed in roses, floral and foliage motif. The individual pieces of wood were carefully cut and inlaid, tinted and colored to bring out the effect of colorful bouquets and wreaths. The carving on the heel of the neck is also a floral design. All metal parts are quadruple gold plated and hand burnished. 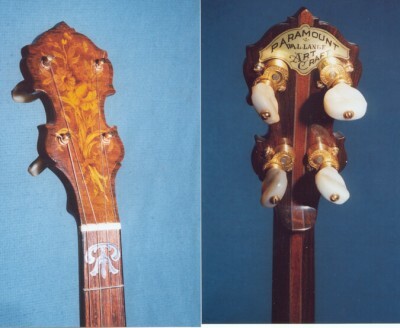 The pearl inlays on the position markers of the fingerboard are identical to the ones used on the Super Paramounts.